Over the summer and into this fall I'm focusing a lot on improvisation using an Octatrack. Here is a good read on improvisation I found via Boulder artist Farrell Lowe – "Barry Guy: Striving For Absolute Spontaneity". Barry Guy seems to be one of the most convincing figures in a long line of contemporary innovators whose discoveries possess everlasting value. 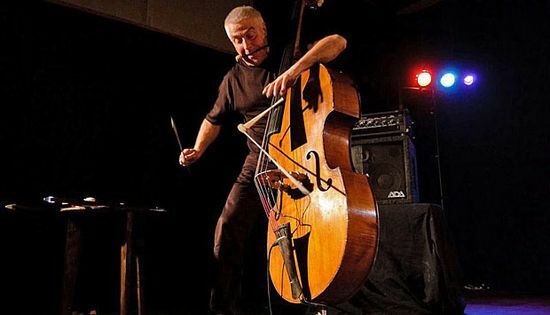 Being a diverse improviser, a bassist of exceptional technique, an accomplished composer and a big band leader, this artist amazes by the scope of his interests and his variety of his accomplishments.